Blow Outs for Boobies Fundraiser! Three years ago, my daughter came home asking for a pink extension in her hair. She wanted the extension since all of her friends had one. Since I’m not one to follow the mainstream, I agreed to let her get the pink extension with a caveat. She had to figure out a way to raise money to donate. My ex mother in law had a mastectomy, and I’ve had friends diagnosed with breast cancer. For these reasons, this is a cause that is near to my heart. We took to Google to find a salon that put in extensions. We came across Dolce Hair Design in Lyndhurst. After research, on pricing, etc we found the salon was hosting a Blow Outs for Boobies fundraiser. 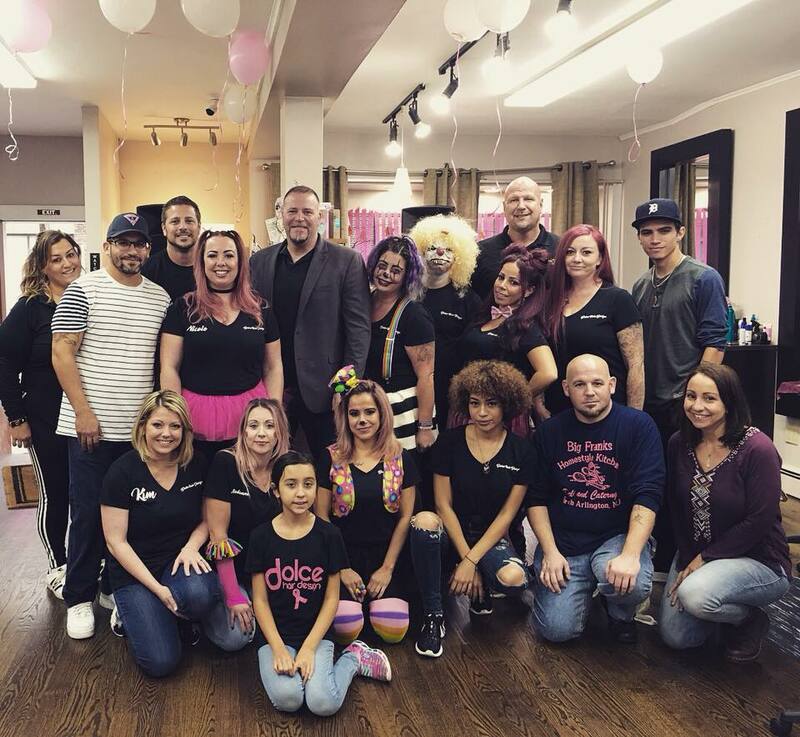 We stopped in the salon, and after getting her pink extension my daughter made her pitch to owner Nicole Scott. She asked Nicole if she (with moms help) could make and sell cupcakes the day of the event. We would take our proceeds and add them to what the salon raised. Nicole immediately said yes, and there began our tradition of participating in this yearly event. 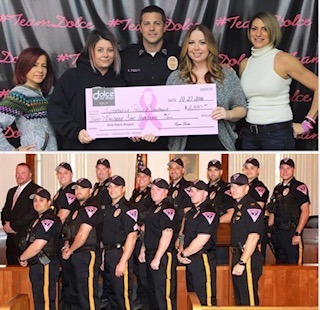 Blow Outs for Boobies stemmed as a partnership with the Lyndhurst Police Departments Pink Patch Project, which started in 2015. Nicole, and her sister Michele, wanted to get involved because they personally know many women, inclusive of some clients, who have been affected by breast cancer. Not being women to sit on the sidelines, they rallied their amazing staff and got involved in 2016. This is their third year partnering with the LPD and to date have raised over $5000! The Lyndhurst Police Department is one of the Pink Patch partners, and it’s spearheaded by Sergeant Rick Pizzutti. Sgt. Pizzutti uses this as a platform to bring awareness to the disease, while raising money for the John Theurer Cancer Center, in Hackensack. The LPD raises money, and awareness, not just by supporting Blow Outs for Boobies, but also by selling pink patches and tee shirts all throughout the month of October. All proceeds donated to the John Theurer Cancer Center. This year’s event is on Sunday October 28th, from 11am-3pm. Blowouts are $25, and everyone who participates will be entered into an iPad raffle. There will be music, other giveaways and of course pink frosted cupcakes and pink lemonade. Please stop by and get a fabulous blowout, cupcake and enjoy some great music. As always, 100% of the proceeds will be donated. My first time performing with The Infernos at the Susan G. Komen North Jersey breast cancer walk was a day I will never forget. I can’t begin to tell you the emotions that were inside of me. A surreal feeling, as if you are a part of something so much bigger. A truly magical feeling. An ocean of pink. Thousands of women who were sisters. An unspoken family. Holding each other, hugging, laughing, singing and dancing at 8AM in the morning! The Infernos were also a part of another amazing event, Minette’s Angels 15th anniversary gala. The night was a beautiful execution of selfless people helping those in need while keeping the memory of mother, wife, sister, friend, Minette McKenna. This year, breast cancer hit me right at home. My best friend, Tracy, who is like family, was diagnosed. My dear survivor warrior friend Deb Belfatto (whom I met when through the Infernos band,) directed us to Tracy’s angels on earth- the man who would soon saved her life, Dr. Michael Scoppetuolo and his lovely wife, Rosemary. Needless to say, when I was asked to sing at the Fashion for the Pink Crusade, which raises funds for the Saint Barnabas Breast Center (that helped my friend get through 20 grueling treatments of chemotherapy) there was no choice but to say YES. The honor is all mine. The idea of filling a room with music among survivors, family members, donors, and friends fills my heart with such joy. I am singing a ballad of hope and strength. For more information about Fashion for the Pink Crusade, click here. 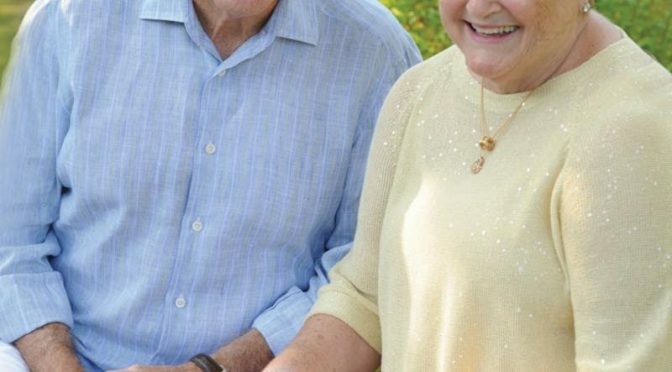 In light of Breast Cancer Awareness Month, Connie Dwyer, a known philanthropist, will be opening her second Breast Center in early October. The Center is located at the main campus of Trinitas Regional Medical Center in Elizabeth. 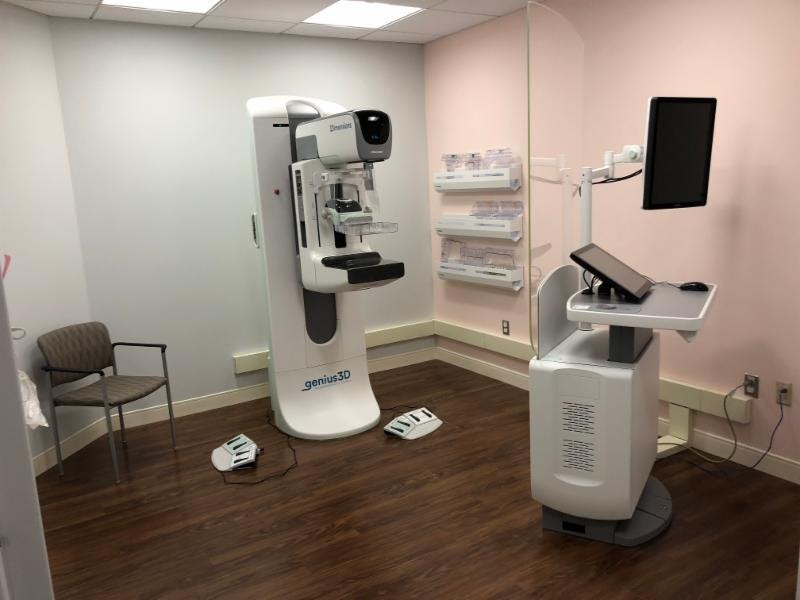 Just last year, we had the pleasure of previewing the new Breast Center at Trinitas while gaining a great understanding of Connie’s reasoning behind starting the Connie Dwyer Breast Cancer Foundation. Connie herself suffered from breast cancer, which was life changing for her. She was first diagnosed in 1999 and had a double mastectomy. Her own battle caused her to become mindful of the other women out there fighting breast cancer, especially those who come from low-income backgrounds. She feels that EVERY woman who has breast cancer should be able to tell their story just like she has. She believes that they should not be denied proper care due to certain circumstances. Often times, women from disadvantaged backgrounds do not have access to the services needed to treat breast cancer, and therefore their stories are never heard. They don’t even have the option to help themselves. This is why the Connie Dwyer Breast Cancer Foundation specifically helps women in need, ensuring that they are receiving the proper care. This includes screening, diagnosis, and treatment, as well as, community outreach and education programs. The Breast Center is state of the art, with innovative technology such as 3D imaging, and highly qualified, bilingual specialists. Connie Dwyer’s story is one of determination, bravery, and resilience. Because of her, hundreds, even millions of women will be able to share their journeys and battles with the world, encouraging even more to step up and help others who are in need. We are so excited to see the finished Breast Center next month and even more excited about the fact that more and more women will be able to receive assistance.